Habitarborescent herbs, sub -shrubs or shrubs; usually xerophytic; rarely with obvious colourless exudate when cut. Leaves simple ; usually alternate in a spiral arrangement, rarely opposite in a decussate arrangement, or whorled ; margins entire ; venation pinnate , palmate or one-veined; texture herbaceous , leathery, fleshy , membranous or sclerified; glabrous or with simple , branched, peltate , stellate or capitate indumentum ; stipules present or absent, if present then intrapetiolar ; aromatic; cystoliths always present; extrafloral nectaries always present, either on the leaf blade , the petiole or the rachis . Inflorescences of usually terminal or rarely axillary cymes, fascicles or panicles, or flowers sometimes solitary; peduncle present. Flowers hermaphroditic; 2 bracts usually present around flowers; sepals 3-5; petals 3-5, free ; corolla radially symmetric ; stamens (3-)15-25(-100), anthers basifixed, dehiscing by longitudinal valves; ovary superior ; carpels 3, usually 1(-3) locules in each carpel ; 1 style with a terminal stigma . Fruit a loculicidal capsule , usually with 3 valves; surface usually smooth. Seeds not conspicuously hairy; nor winged ; always less than 10mm long. Under the APG III system (Stevens 2009, onwards), Cistaceae has been placed within the order Malvales. 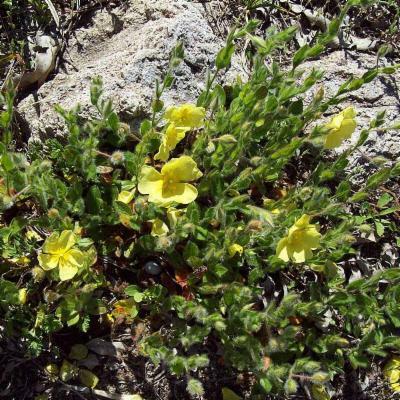 Members of the genus Helianthemum are widely cultivated as ornamental plants. 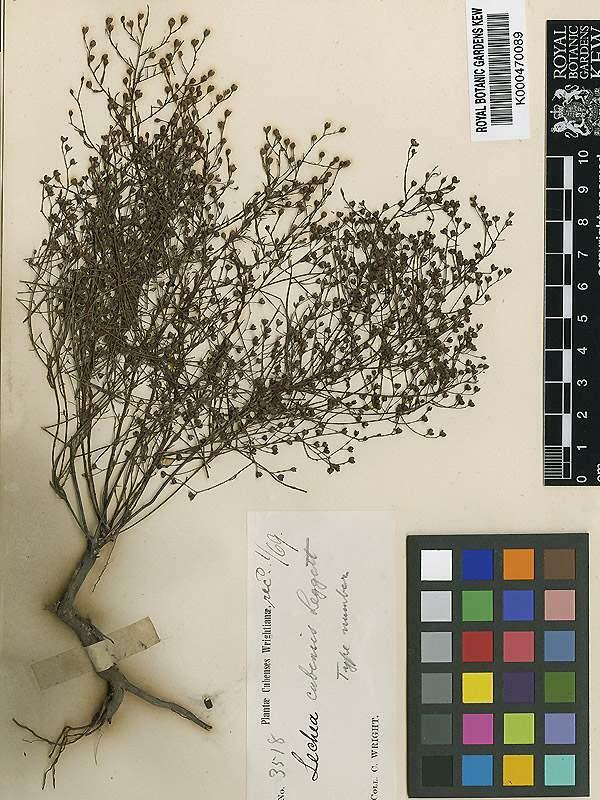 Lechea L. - About 18 species North and Central America, West Indies (2 endemic to W Cuba. 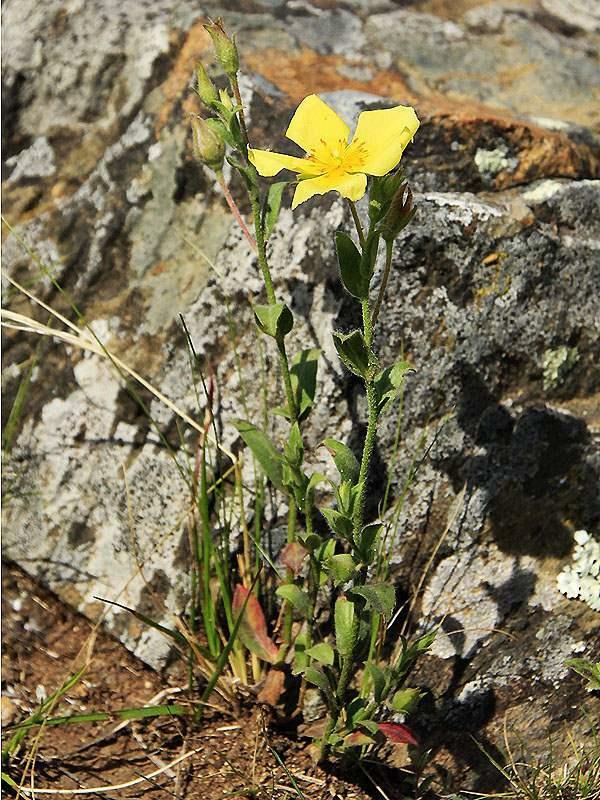 Helianthemum Mill. - 80-110 species worldwide, three native to South America, one in West Indies, and nine in Mexico and Central America. 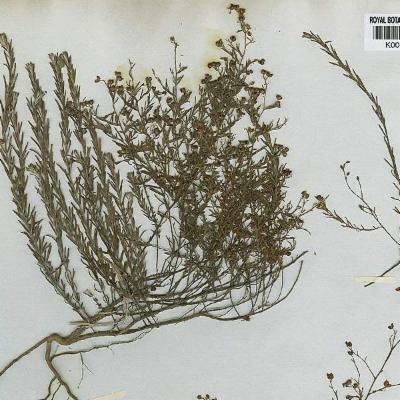 Cochlospermaceae - Palmatifid leaves; no leaf hairs; cystoliths absent; lacking spiny stipules; dissected into distinct lobes or sections; non-fleshy; not sclerified or modified; not one-veined or pinnately veined; stipules absent; exudate colour brown, orange, red or yellow; exudate darkens rapidly on exposure. Inflorescence structure racemes; anthers dehise via pores; peduncle present. Rosaceae - Leaves sometimes pinnately compound; margins usually serrate; paired stipules; spines may be present on midrib of leaflets and the rachis of compound leaves; flowers arranged in racemes, spikes or heads; bases of sepals, petals and stamens are fused together to form hypanthium. Malvaceae: subfamily Malvoideae - cystoliths absent in leaves; leaf margins can be serrate, dentate or crenate as well as entire; no obvious exudate when cut; bracts not present (although can be misinterpreted as being present); usually 5 calyx & corolla segments (3-5 in Cistaceae); stamens adnate to perianth; ovarylocules usually 3-5; usually fewer androecial members (often 10-15); fruit surface often spiny or ridged.Malvaceae: subfamily Tilioideae - usually trees or shrubs; inflorescenceaxillary (uncommon in Cistaceae); gynoecium 2-100-carpellate; petals sometimes bifid.Malvaceae: subfamily Grewioideae - often trees or shrubs; cystoliths absent in leaves; leaf margins can be serrate, dentate or crenate as well as entire; no obvious exudate when cut; ovarylocules 1-10; 4-5 calyx & corolla segments (3-5 in Cistaceae); fruit surface often spiny or ridged.Turneraceae- leaf margin rarely entire; cystoliths absent; 5 calyx & corolla segments (3-5 in Cistaceae); staminodes absent; androecial members 5; no obvious exudates when cut. Leaves simple; margins entire; pinnatevenation. 3-5 petals and sepals (6 or 10 total perianth parts). 2 bracts usually present around flowers. Extra-floral nectaries always present, either on petiole, leaf blade or rachis. 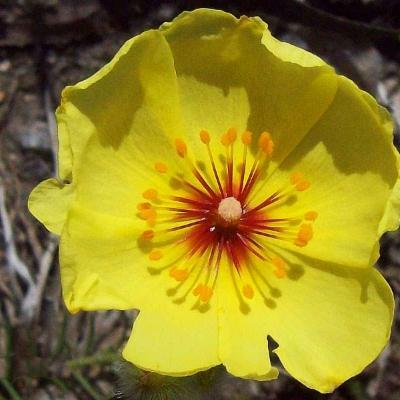 Good delimination characteristics between Helianthemum and Crocanthemum includeing leaf arrangement, pollen type, shape of the funicle, embryo and base of the style. 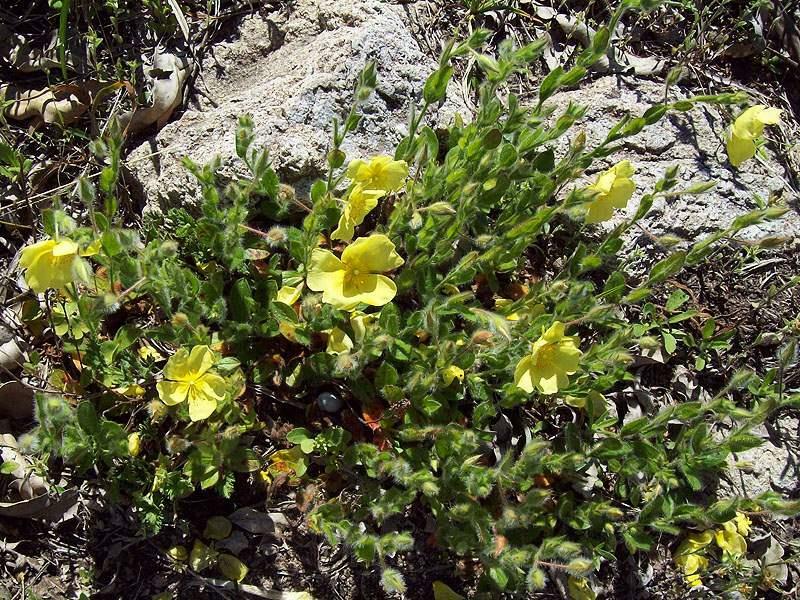 Helianthemum the only genus with opposite leaves and only neotropical genus which may have stipules (though Crocanthemum has axillary tufts of leaves, sometimes mistaken for stipules). 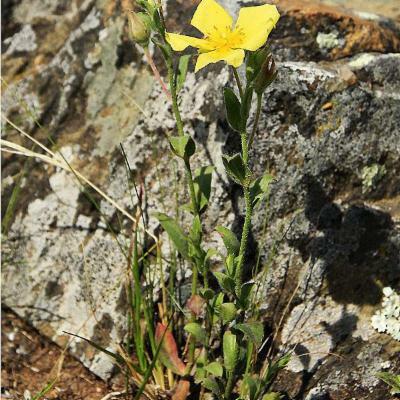 Lechea petals, of which there are 3, unlike the other two neotropical genera (5), are minute, 3 stigma s.
Helianthemum style narrowly tapering from apex to a filiform base. Crocanthemum style short and erect. The Angiosperm Phylogeny Group. 2009. An update of the Angiosperm Phylogeny Group classification for the orders and families of flowering plants: APG III. 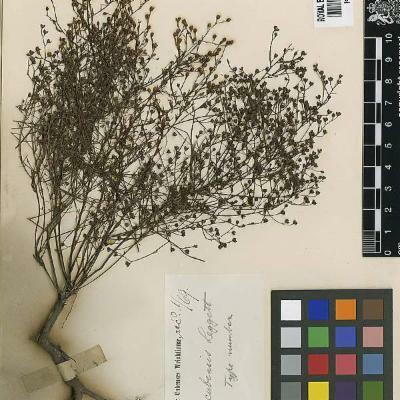 Botanical Journal of the Linnean Society vol. 161(2): 105-121. Guzmán, B., Vargas, P. 2009. 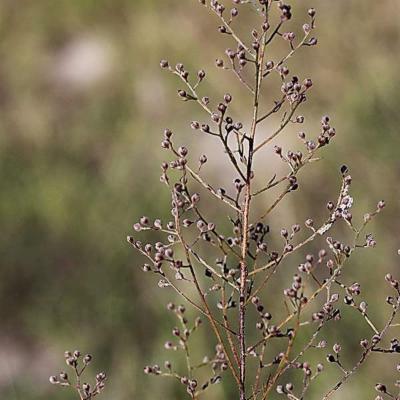 Historical biogeography and character evolution of Cistaceae (Malvales) based on analysis of plastid rbcL and trnL-trnF sequences. Organisms, Diversity & Evolution 9: 83-99. Bayer, C., Kubitzki, K. 2003. Cistaceae. In: Kubitzki, K. (ed.) 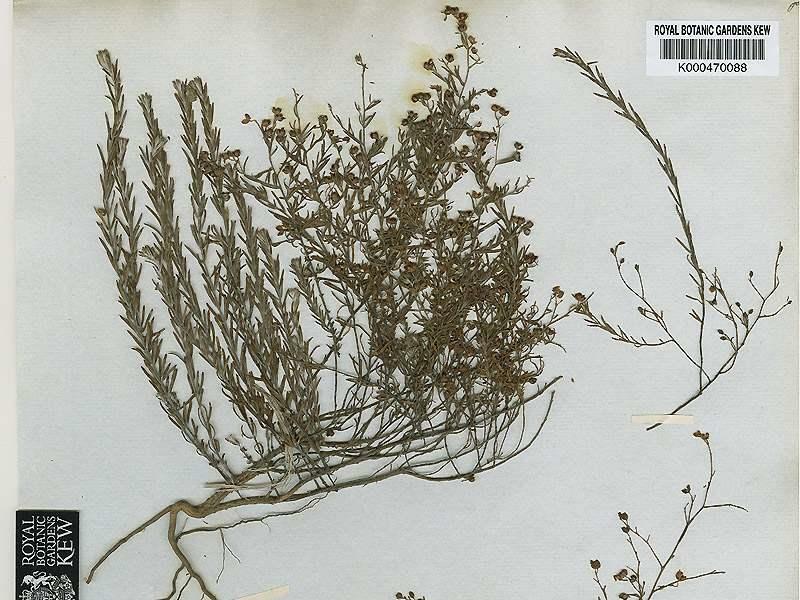 The Families and Genera of Vascular Plants Vol. 5: Flowering Plants Dicotyledons: Malvales, Capparales, Non-betalain Caryophyllales, pp. 62-70. Springer-Verlag, Berlin. Spaulding, D.D. 2013. 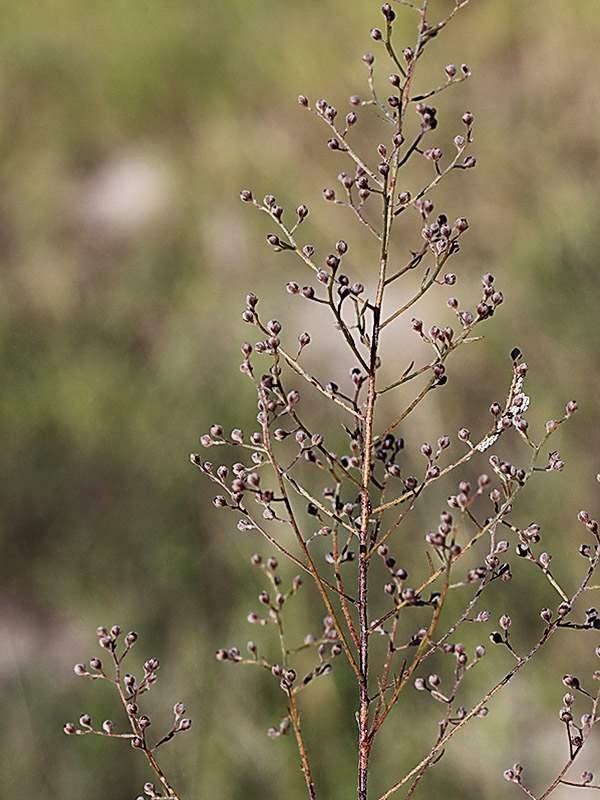 Key to the pinweeds (Lechea, Cistaceae) of Alabama and adjacent states. Phytoneuron 99: 1-15. Wilbur, R.L. & Daoud, H.S. 1961. The genus Lechea (Cistaceae) in the southeastern United States. Rhodora 63(748): 103-118. Wilbur, R.L. & Daoud, H.S. 1967. 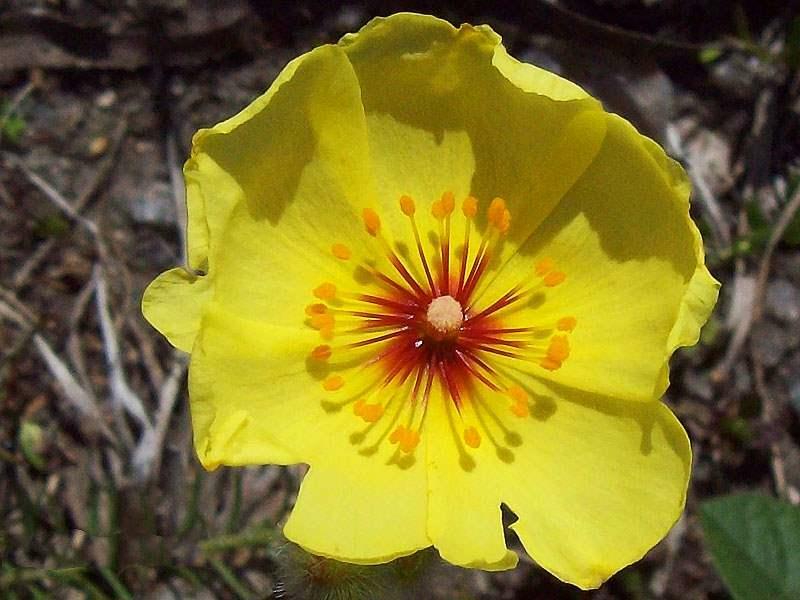 A synopsis of the genus Helianthemum (Cistaceae) in Mexico and Central America. The Southwestern Naturalist 12: 87-96.